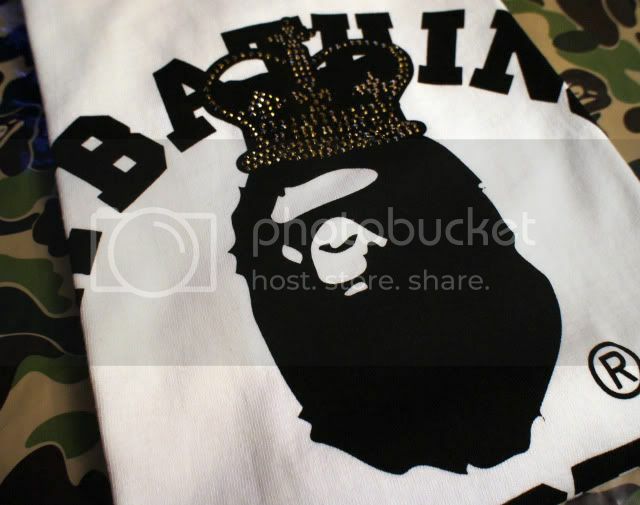 Each season in Bape's catalogue, there are one or more limited items which can only be mail-ordered by Japanese citizens. In this special edition catalogue order shirt, the standard A Bathing Ape college logo was given a crown studded with Swarovski Crystals. The shirt was roughly $100 at the time of order, and the crystals were available in three different colors. solifestyle went with gold, because what kind of king has a silver crown anyway?